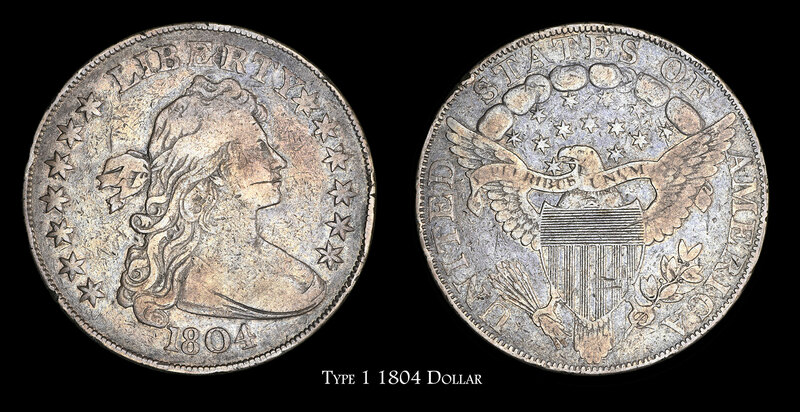 The 1804 silver dollar is among the most coveted of all U.S. rare coins, with only 15 known examples. Strangely, no dollars dated 1804 were actually struck in that year. 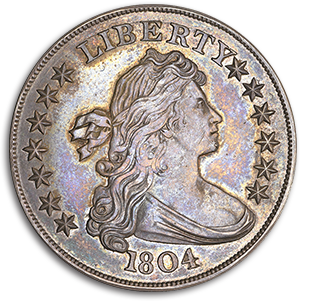 The United States Mint struck only dollars dated 1803 in 1804, and then ceased regular production of silver dollars until 1840. 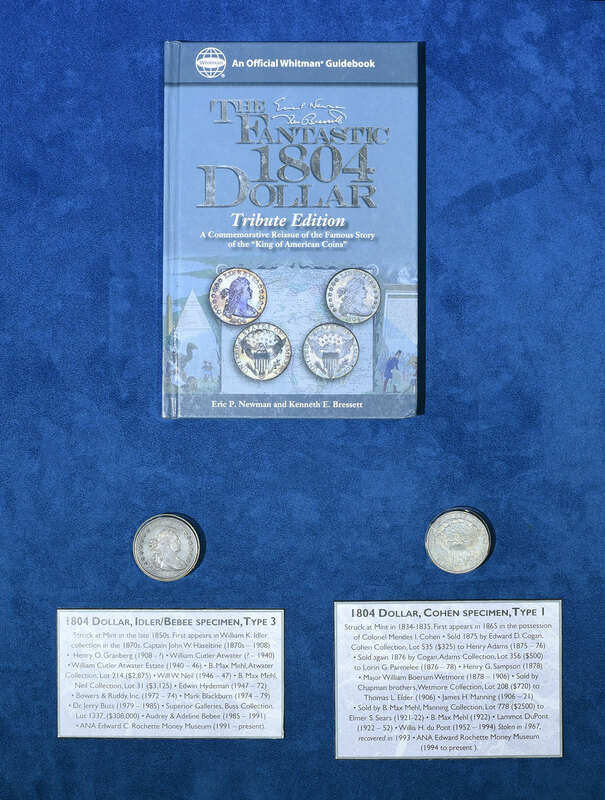 "1804" dollars were actually struck in 1834-35, when the U.S. Department of State decided to give "complete" type sets of U.S. coins, including the 1804 dollar, as gifts to certain rulers in Asia willing to grant trade concessions to the United States. The appearance in 1962 of the set presented originally to the King of Siam, Rama III, between 1834 and 1836, confirmed this initial purpose. 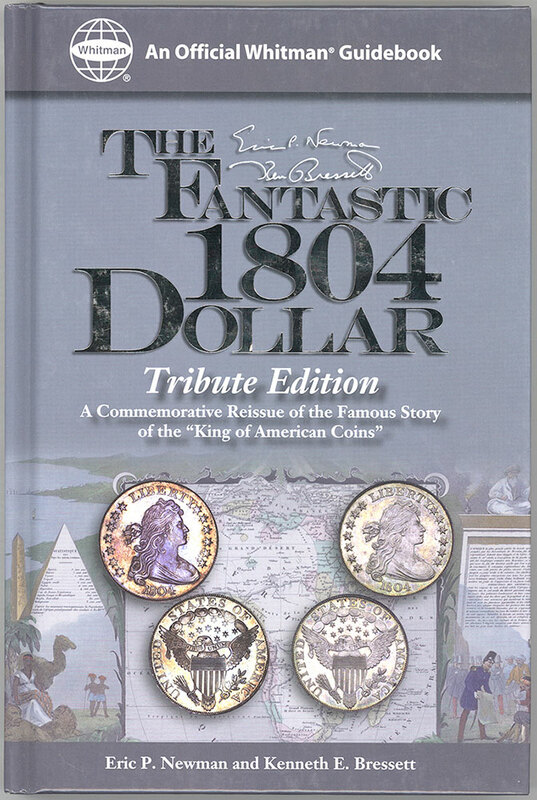 The unusual history of the 1804 dollar extends to the details of when and how the coins were struck. The eight specimens struck during the 1830s (and given originally to Asian rulers) are considered "originals" and constitute the Class I group. The single Class II specimen was struck about 1858-59 over a Swiss coin–a "shooting thaler" of 1857–and is believed to have been an experiment by U.S. Mint employees. 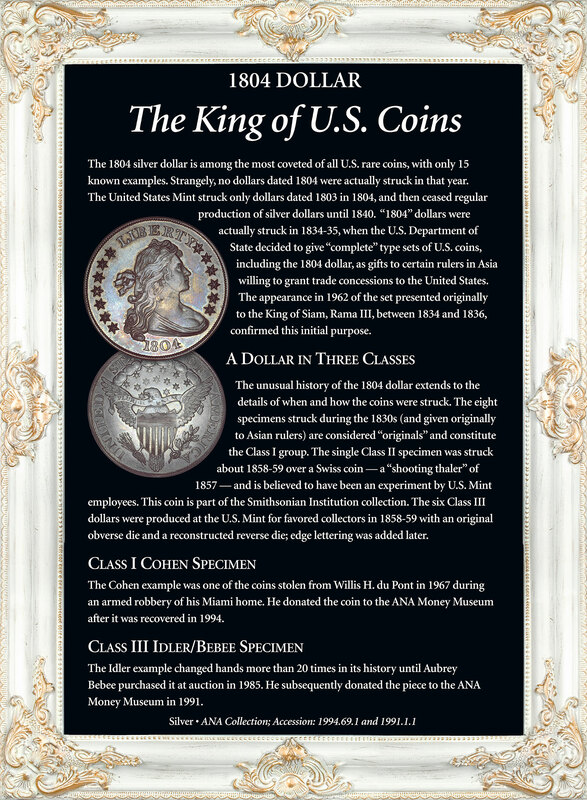 This coin is part of the Smithsonian Institution collection. 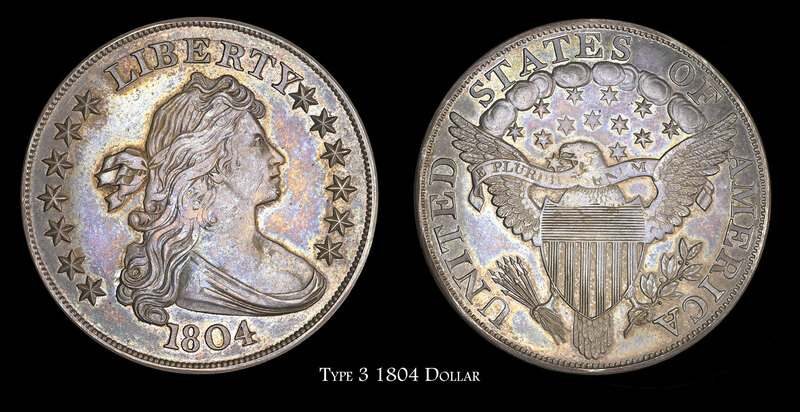 The six Class III dollars were produced at the U.S. Mint for favored collectors in 1858-59 with an original obverse die and a reconstructed reverse die; edge lettering was added later. 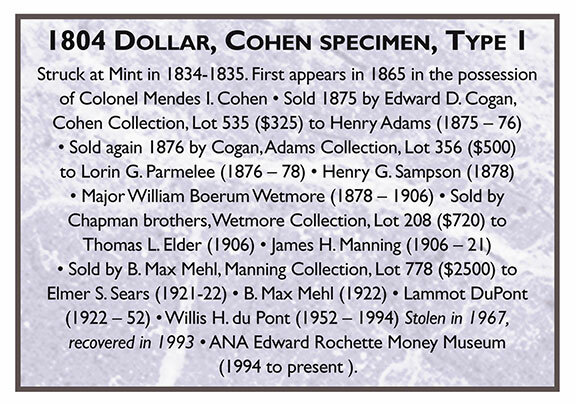 The Cohen example was one of the coins stolen from Willis H. du Pont in 1967 during an armed robbery of his Miami home. He donated the coin to the ANA Money Museum after it was recovered in 1994. 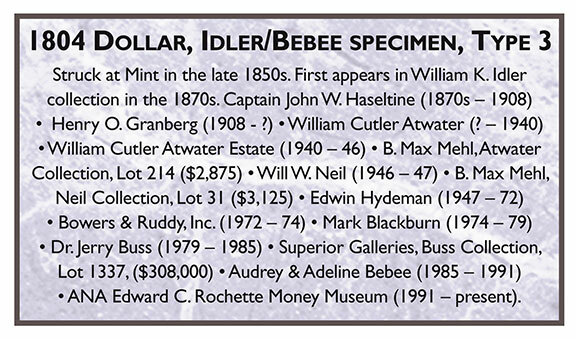 The Idler example changed hands more that 20 times in its history until Aubrey Bebee purchased it at auction in 1985. He subsequently donated the piece to the ANA Money Museum in 1991.